The Be Good Tanyas have made a comeback in the last couple of years, but now vocalist Frazey Ford is returning to her solo career. 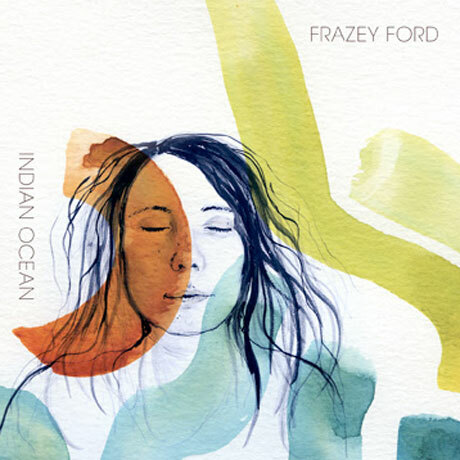 Her album Indian Ocean will be out on October 14 through Nettwerk Records. The album was co-produced by Ford, along with returning collaborator John Raham (Carolyn Mark, the Belle Game), with recording taking place at Royal Studios in Memphis and Afterlife Studios in Vancouver. Ford was backed during the sessions by the classic soul house band the Hi Rhythm Section. Known for their work as Al Green's band, the lineup included recently deceased guitarist Teenie Hodges. The arrangements also feature horn arrangements, while backup vocalists including former Mother Mother singer Debra Jean Creelman. A press release describes the result as "a lush album filled with songs about pain and dealing with tough truths, but also about love, contrition and being bold." Scroll past the tracklist below to hear opening cut "September Fields," which is a mellow folk ditty with a vintage soul groove. This is Ford's second solo album. She released Obadiah in 2010.